Perturbed over the dwindling financial position, the Ludhiana Municipal Corporation is all set to tighten its noose around residents who have failed to clear their water supply and sewerage bills. The "Herculean task" of getting admission for their wards to the "best" schools in the city is taking a toll on parents these days. According to psychiatrists, during the admission time, the anxiety among parents increases. Besides, "family fights" become a regular feature over the choice of school. The Ludhiana Municipal Corporation has challaned 22 persons after larvae were found in their containers and coolers in various localities. The action follows information provided to the corporation by the Health Department in this regard. 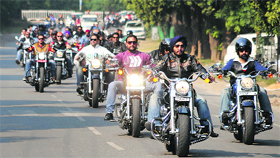 The loud thunder of Harley-Davidson and other high-end superbikes attracted the attention of city residents as the stunning bikes cruised through different parts of the city. However, the "glamour and noise" of the bikes was for a cause today as the group riding the bikes named it "A Ride for Charity". Festivals are a part of our customs and traditions and different communities celebrate different functions throughout the year. 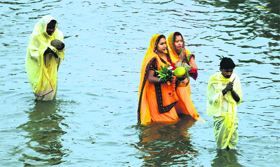 But during celebrations, we tend to forget that we have to take care of our environment also. During Diwali, people indulge in burning crackers and polluting the environment which further compounds the alarming level of air and noise pollution. The Schedule Caste Animal Husbandry Officers' Welfare Association held a meeting to welcome the state government's move to amend the rules to give promotion to the scheduled caste officers here today. 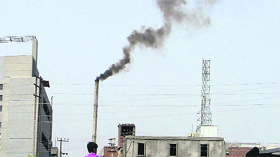 Furnace industry in the city is in troubled waters due to various reasons, including high power cost. The rates of power have increased considerably in the past one year giving tough time to the furnace units. Input cost of the industry has increased leading to diminishing margins as a result many units have shut down. A painting exhibition is under way at a city-based restaurant Bistro 226. Artworks of about eleven city-based artists, including Mark Victor, Amita Gupta, Amrit Sambi, Mallika Bhatti, Amarpreet Walia, Paramjot Walia, Prem Sharma, Sumit Gogia and sculptor Harminder Singh Boparai, Mandeep Kaur and Aarti Sehgal are on display. Government health and social services dominated the second day of three-day long awareness programme, Bharat Nirman Public Information Campaign, being held at Government Senior Secondary School, Mullanpur Dakha, by the Press Information Bureau for creating awareness about various government policies. With intent to get recommendations of the Department of Health and Family Welfare regarding tobacco-control measures implemented in letter and spirit, the state Education Department has directed all the officials of the department to ensure that no student, staff member, member of management committee or a visitor can consume tobacco on the premises of any school. The annual training camp of the No 4 Pb Air Sqn NCC concluded at the JNV, Dhanansu. The 10-day camp was attended by over 500 cadets from various schools/colleges of Ludhiana. Ludhiana: A baby show was today organised at Brats and Cuties, a pre-school. Children of the age group 6 months to 4.5 years participated in the show. Children up to 3 years of age contested for categories like active baby, healthy baby, sparkling smile, chubby cheeks and extrovert child. A baby show under way at Brats and Cuties in Ludhiana. Tribune photo: Himanshu Mahajan. Ludhiana: Ghazals of Shiv Kumar Batalavi were sung by majority of students who participated in the inter-college gazal singing competition organised by the Punjab Sahit Academy. 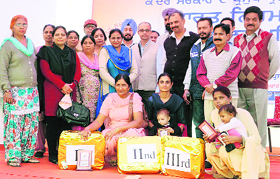 The competition was held in the memory of AS Pooni, former president, Punjabi Sahit Academy. To make people aware about diabetes, an NGO, Rising Youth Association, is organising an activity in different public parks of the city. The activity started today and will conclude on November 16. Unde this campaign parks of BRS Nagar and adjoining areas, PAU, leisure valley, Rose Garden, Rakh Bagh, Dugri, Golden Park and mini Rose Garden will be covered. Union Minister of State for Information & Broadcasting Manish Tewari today came to the rescue of the Punjabi film industry. AIR FM Gold studio was launched at Pal Auditorium, Punjab Agricultural University, today. 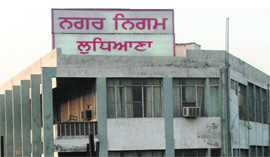 FM Gold Ludhiana will start the relay of local programmes from 9 am to 10 am and 6 pm to 7 pm. 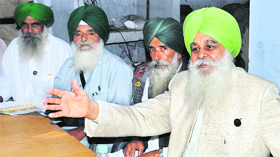 Sounding a note of warning to private traders, the Bharti Kisan Union (BKU) has asked them to desist from fleecing the farmers by forcing them to sell paddy at below minimum support price (MSP) in the name of moisture content and discoloured grains due to unseasonal rains. For the past couple of months, the prices of vegetables are heading towards north and are giving tough time to the homemakers to manage their budget. After onions, tomatoes also followed the league. Two persons were injured in separate incidents of firing late last evening. The first incident took place at 9.45 pm in the Preetam Nagar area of Hibowal in which two gangs, Sachin-Mohini gang and Lalla Gang, entered into a major scuffle. On the second day of the Swami Vivekananda Punjab State Rural Games for Boys (U-16), players from across the state showed their mettle in 12 disciplines. The games are being organised at Guru Nanak Stadium, Multipurpose Hall and sports complex at Punjab Agricultural University. Only one match was played on the fourth day of the Ludhiana Sahodaya Schools Complex Cricket Tournament today. The tournament is being organised by Green Land Convent School at Green Land Stadium. 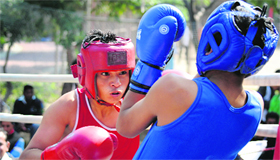 The match was played between BCM, Dugri, and Shamrock Christian School. The trials for the selection of the Indian team for the fourth edition of the World Kabaddi Cup could not be completed today as the selection committee failed to conduct all rounds.